I hate to discuss “bad” news, but the reality is that it is foisted upon us on a large-scale every day. Many of the so-called news networks traffic in lies, slander, and innuendo and it makes sense when realizing who owns those news channels. FOX News is trying to hold onto its conservative, fairly unbiased slant, but that’s changing since Rupert Murdoch’s sons have taken over the network. Whether it’s CNN, The New York Times, MSNBC, ABC, CBS, or even NBC, the pickings are slim to none for getting news presented without all the spin. One new startup company called One America News Network (OANN; http://www.oann.com/), seems to be the only one that cares about delivering news as news instead of spin or reality TV. Rumors are that another network is in the works that will cater to those who can think for themselves, but we’ll have to wait and see what happens. Most of the social media groups cater categorically to the Fascist Left. Yesterday, I was watching the live broadcast of AG Sessions testimony before Congress. It was frustrating to hear opening remarks (speeches) by Wyden, Burr, and numerous other Leftists all went on the attack against Sessions. It was clear that they want to continue the empty rhetoric related to Russia even though Comey stated Trump is not under investigation. Many still would like us to believe that they believe Russia involved itself in our presidential election in order to get Trump elected. This makes no sense on a number of fronts. First, if Russian hackers were smart enough to hack our election and allegedly change the outcome, why weren’t they smart enough to hide their tracks and/or point to someone else? It’s not that hard to do. In fact, I’ve used programs that have allowed me to go on the ‘Net anonymously, making it appear as though my IP Address was in a foreign country, not America. It really is not hard at all. The Left wants us to believe though that Russian hackers had the know-how to hack our election but didn’t have the wherewithal to hide their tracks? It makes no sense. Third, former FBI Director James Comey has Clinton ties  and so does his brother, Peter Comey. Director Comey had good reason to protect Hillary from any investigation for which she could have committed illegalities. The rumor mill that Comey personally allowed to continue regarding President Trump and an alleged investigation was merely grist for the mill since we now know that Trump is not under investigation according to Comey’s recent testimony. Yet, in spite of just these three things listed above, the Left continues to push their belief that Russia was behind the election hacking. They’ve shown no proof of any such hacking except to say that investigations are continuing. Truth is nothing will be found and the more that is uncovered, the more the finger is pointed at the Obama Administration. It’s seriously looking like a set-up against Trump. But the truth of the matter is that evil exists. It has existed since the beginning of the fall of humanity. Reading through the Psalms alone proves the point that evil men (and women) persist in making the lives of innocent people miserable. They do so to protect themselves and their little kingdoms. Seth Rich, a DNC staffer, was murdered and we are told it was a robbery gone wrong. Nothing was taken from Mr. Rich. In fact, when police arrived he was talking. One witness said he was awake and focused. He later died in the hospital, but his wounds did not at the time of the incident appear life-threatening. It turns out Seth Rich was trying to do the right thing. He wanted to bring to the fore the level of corruption that exists in the DNC so he may have been one who leaked documents to WikiLeaks. Those docs provide us an inside look at the daily dealings of people within the DNC. It forced the resignation of Debbie Wasserman-Schultz. Through these documents, people have become aware of what has been dubbed “Pedo-Gate,” starring John Podesta, a columnist and former chairman of the 2016 Hillary Clinton presidential campaign, who also served as President Bill Clinton’s Chief of Staff. These people – if all that they are being accused of is true – are perfect examples of what we see described for us by Paul the Apostle in Romans 1. They are incorrigible. Their consciences are completely seared. They have been taken over by evil. Just today, an individual is reported to have opened fire at GOP members while they were practicing for an upcoming baseball game in Alexandria, VA. During the incident, in which a man asked if the people practicing were Republicans or Democrats, House Majority Whip Steve Scalise was shot in the hip. He is in surgery now. Alexandria police shot the suspect and have taken him into custody. Witnesses said as many as 50 shots were fired. The Left’s response to this is a renewed gun control chant. There is no empathy for the victims. There is no praise for the police (at the time of this writing). They’re concern – as it has always been – is to create more gun control laws, which will ultimately do nothing to keep guns out of the hands of criminals, but will only make it more difficult for law-abiding citizens to obtain them. Because of the animosity that leftist media networks have continually pushed since the lawful and legal election of President Trump, it is easy to expect things like this to happen. It appears as though America continues to be pushed toward another civil war that began under Obama. 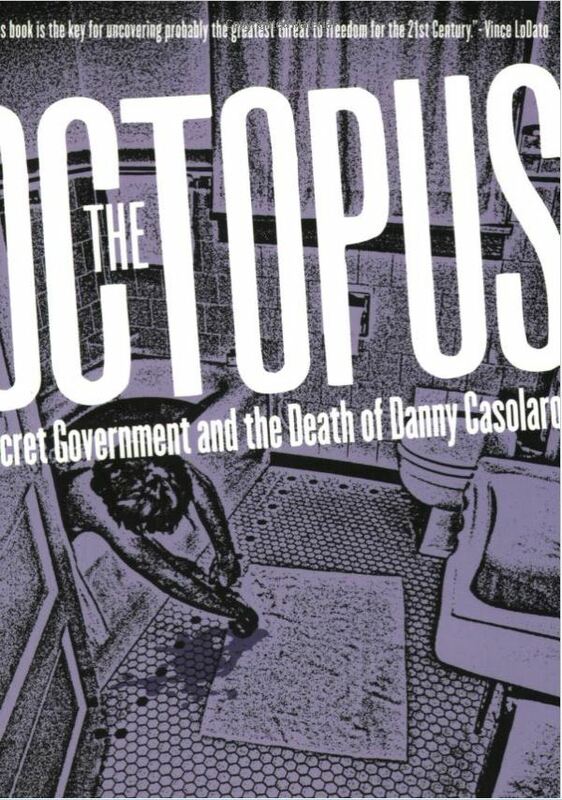 I’m reading a book called, The Octopus: Secret Government and the Death of Danny Casolaro. It reads like a fiction novel, but the trouble is that is presented as non-fiction. Danny Casolaro was a real journalist and he was on the trail of something big. He was found with his wrists slashed in the bathtub of his hotel room and his large accordion file with most of his notes and manuscript for his book “The Octopus” was missing. The book I’m reading was written by Kenn Thomas & Jim Keith using Casolaro’s remaining notes and additional research they did. If just half the things in the book are true, the Deep State (“The Octupus”), is truly in control of things and they’re not giving up quietly. They have too much to lose. It is difficult to look to God and acknowledge that He is in control, but that is exactly what we must do. The Psalms are filled with praises to God in spite of the way things look in society. In Psalm 63, David lifts his praise to God, acknowledging that those who seek his life will come to a terrible end. He trusted in God. As difficult as it is for us to trust God at times, this is what we must do. He guides. He protects. He reigns and He does so sovereignly. Nothing takes God by surprise, because He sees it all. Entry filed under: 9/11, Agenda 21, alienology, Atheism and religion, Barack Hussein Obama, christianity, Council on Foreign Relations (CFR), Cultural Marxism, Demonic, devil worship, Emotional virtue, eternity, Global Elite, Gun Control, Life in America, Political Correctness, Politically Correct, Politics, Radical Islam, Religious - Christian - End Times, Religious - Christian - Prophecy, Religious - Christian - Theology, salvation, Shadow Government, Socialism. Tags: danny casolaro, deep state, evil, the octupus. Hate to waste time on ruminating about human follies in seconding your post. True, God is in control but currently an absentee landlord letting Satan roam and dominate the world with the good ole USA morphing into a satanic global peddler of weapons of mass destruction in the M. E., while domestically spouting fake news about President Trump, the elected choice of legal voters. The USA now is the new villain wearing the mantle of Reagan’s Russia, the former evil empire. Incredibly, Obama even provoked hot war confrontation ostensibly seeking to extend his presidency under war powers acts as FDR did in WWII. But thanks to a wise and rational Putin we have to date avoided hot military confrontation …..and possible nuclear winter (forget about Gore’s fake anthropogenic warming fable…..in reality, an unavoidable cyclical event wholly under divine control). Regrettably President Trump has evaded many of his campaign promises, as greenhorn Obama also did; instead both conforming to D.C. pork sty politics.Tragic but to be expected since the ingrained corrupt D.C. mindset changes incoming Presidents, not vice versa..
Of course, thanks be to God that all such human trivial pursuits are subject to voiding under His foreordained but humanly unknowable plans and time table including the imminent Rapture of all true Christians, dead or alive ….hopefully soon!